Birmingham did not have a regular police force and, following an outbreak of Chartist rioting in the summer of 1839 which went out of hand, local magistrates had to call for help from the Metropolitan Police. As a result of the riots, the Parliament passed an act, which allowed the city to set up its own police force and appoint a chief commissioner and recruit a sufficient number of constables. On 1 September 1839, local barrister Francis Burgess was appointed as the first police commissioner for Birmingham. Birmingham City Police took charge of the streets on November 20, 1839 with 260 men. They were paid 17 shillings a week and supplied with a uniform. In 1974, following the reorganization of the local authority boundaries, Birmingham City Police was incorporated into the newly formed West Midlands Police. The West Midlands Police Museum is a former magistrate court housing 160 years worth of police memorabilia. It has a range of pictures and information to show the development of policing in and around Birmingham. 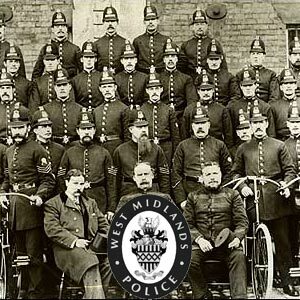 The West Midlands Police Museum also has a rich collection of artifacts like uniforms, whistles, boots and other accessories, which once belonged to the Boys in Blue, as the West Midlands Police force men were popularly known. The West Midlands Police Museum is open all around the year and the entry charge for adults is ?3.50 and free for children. The Museum also houses a small shop, which sells memorabilia and a small classroom complete with old wooden desks. A 1-hour tour should be more than enough for casual visitors and a longer period of time for educational visits. The West Midlands Police Museum also provides some unique services like Guided tours and educational programs for tourists and students.